Planet Mercury is an agent of intelligence and gives our mind its abilities for pattern recognition. His placement in your chart shows how and where your intelligence will unfold in its full strength. He is also called the “merchant planet” and has everything to do with buying and selling. He is an important planet for business and commercial success. Parasara, a great sage commonly known as a father of Vedic Astrology, taught that Mercury has the ability to manipulate the multiple meanings of words for humorous effect. Our enjoyment of witty conversation comes from Mercury. Participate in our special rituals on October 9th 2015, (IST) when Mercury goes direct in Virgo. Participate in the Fire Ritual to Mercury which will be performed especially for you at our Fire Lab on October 9th 2015. Planet Mercury acts like a ladder by giving us the right intelligence for improving different domains of our lives such as career, finance, relationship and so on. Offering prayers to Mercury on this day will help to receive his blessings. You will receive sacred grey ash powder and kum-kum (Red Vermillion Powder), which will be blessed in the rituals. Keep this on your meditation altar and wear on your forehead during meditation or other times and expand the Divine blessings into your life. The ritual is the carbonization of thoughts. Carbon is our information bearing atoms. The carbon residue (ash) given out as Prasad is to be placed on the third eye of the participants and carries the blessings of the archetypes invoked. Please Note: Your Prasad will be shipped from Chennai, Tamil Nadu. Please allow 2 – 4 weeks for delivery after the entire set of rituals is performed. Participate in the Fire Ritual to the archetype Hayagriva which will be performed especially for you at our Fire Lab on October 9th 2015. Hayagriva, a horse-headed avatar of archetype Vishnu, is an epitome of wisdom and intelligence. Ancient Seers and Rishis worshipped Him for obtaining supreme knowledge and He can also bestow siddhi (Supernatural) powers, when you connect with his divine energies, with sincerity. Offer your prayers to Hayagriva and receive His blessings. Hayagriva is the horse-headed avatar of Lord Vishnu and is the protector of pure knowledge. Ancient Seers and Rishis worshipped Him for obtaining supreme knowledge and He can also bestow siddhi (Supernatural) powers, when you connect with his divine energies, with sincerity. Offer your prayers to Hayagriva’s miniature Statue and receive His blessings. You will receive an energized Hayagriva Miniature along with sacred grey ash powder and kum-kum (Red Vermillion Powder), which will be blessed in the rituals. Keep this on your meditation altar and wear on your forehead during meditation or other times and expand the Divine blessings into your life. Mercury Incense of 6 Pack contains incense with special herbs for Mercury. Burning Mercury incense cones helps in bringing positive communication and improves commercial success. These cones also nullify the ill effects of Mercury and boosts positive energy around you. Order your Mercury Incense 6 Pack now. You will receive Mercury Incense of 6 packs along with sacred grey ash powder and kum-kum (Red Vermillion Powder), which will be blessed in the rituals. Keep this on your meditation altar and wear on your forehead during meditation or other times and expand the Divine blessings into your life. Please Note: Your Mercury Incense of 6 packs and Prasad will be shipped from Chennai, Tamil Nadu. Please allow 2 – 4 weeks for delivery after the entire set of rituals is performed. On October 9th 2015 (IST), the Mercury will go direct in Virgo. This will provide auspicious results as Mercury is the ruler of sign Virgo. When Mercury is in Virgo, it gives the power to express and communicate precisely. 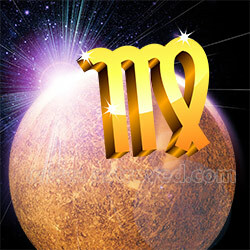 Mercury, the communication planet has the power to develop logical abilities and make you reasonable. Mercury direct, will bring positive results in both personal and professional front. Why Would You Need Hayagriva’s grace? Vishnu is the archetype who rules Mercury. Hayagriva is the horse-headed avatar of the archetype Vishnu. As Mercury enters Virgo and gets exalted, you will be able to connect to Vishnu in a form in which he beams pleasantly in a gracious mood. While the idea of connecting to a planet that is not physically present on the horizon of your vision may appear awkward, reaching out to his ruler will be understood as going beyond time and space. So, keep it simple! Connect with Vishnu and seek his grace. Aries – People with Moon sign Aries will have moderate results on Mercury direct. So, stop blaming and start performing. Taurus – People with Moon sign Taurus will focus more on love life and not waste money on majestic appearances. Gemini – People with Moon sign Gemini will get property benefits and get support from loved ones. Cancer – People with Moon sign Cancer will be able to express their point of view in a better way. Progress in work is foreseen. Leo – People with Moon sign Leo will perform religious deeds. Distant trip is likely. Virgo – People with Moon sign Virgo will be able to express their sensual feelings and pleasures. Libra – People with Moon sign Libra should not do anything secret from loved ones. It may adversely affect your work and future. Scorpio – People with Moon sign Scorpio may involve in speculations and fetch good profits. Sagittarius – People with Moon sign Sagittarius seems to be argumentative. Cordial actions are required to improve the situation. Support from seniors and elders can be expected. Capricorn – People with Moon sign Capricorn should be very careful while speaking with loved ones or friends. Do not reveal your secrets as this may invite foes to yourself to take advantage of you. Aquarius – People with Moon sign Aquarius will make good profits. Excitement and sensual feelings should be kept under control. You might face health issues. Pisces – People with Moon sign Pisces should control their ego. Do not speak needless things. You will find attachment in your relationship. Minor injury is likely.